If Nokia Philippines were part of a covert-op, it would be heralded as THE epitome of secrecy. Over the past 2 months, Pinoys were unsure of Nokia’s flagship internet table (with phone features) availability in the Philippines. There was a rumor back then that the Nokia N900 will be available in March 2010. It was a rumor until today when I received an email from Nokia Careline Philippines. Though, the said device will indeed become available in the Philippines in March, some eager Filipinos (like me) have already purchased it abroad. This is good news! Meanwhile, get ready for the launching of Gadget Pilipinas’ exclusive club for Nokia N900 and future Maemo/Meego devices users in the Philippines in April 2010. Interested ones may signify their interest by commenting their names with their emails below. Please use [at] rather than ‘@’ on your email address to avoid phishing. 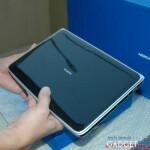 ** UPDATE 2: It is confirmed that all Nokia Stores in the Philippines are already selling the Nokia N900. The phones were indeed shipped to Nokia Stores here in March 2010. They are not yet displaying it on their “Find Products” website though (that is really weird). The phone appears on their ‘Support‘ page.